What sets Advanced Manufacturing Technologies (AMT) apart from other electronic contract manufacturers? We pride ourselves on partnering with our customers to produce high-quality printed circuit boards and electro-mechanical assemblies. Our products are built to customer specifications, on-time and at a competitive price. We are rigorous about maintaining control over product and document revisions. What do I need to provide AMT in my request for quotation? 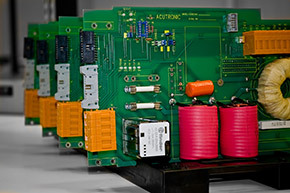 What are AMT's PCB manufacturing capabilities? 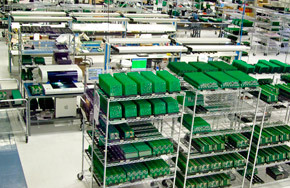 AMT offers Through Hole, Surface Mount (SMT) and Mixed Technology PCB assembly. Unless specified otherwise, we manufacture all PCBs to IPC Standards Class 1-3. To best meet your needs, our SMT line supports ultra fine pitch, BGA and Micro BGA components, and our Camelot dispensing system eliminates the need to purchase screens for prototypes. Camelot also provides adhesives for double-sided assemblies. When it comes to electromechanical assembly, AMT builds cables, harnesses and enclosures to the highest standards by using state-of-the-art auto-prep and auto-crimping equipment. Our fully-automated test system includes real-time SPC to ensure that all of your assemblies meet specifications. What is AMT's standard warranty? One year from ship date. What quality certifications does AMT have? We are an ISO 9001 certified company, you can be certain that AMT will control and maintain your products correctly throughout the production process. 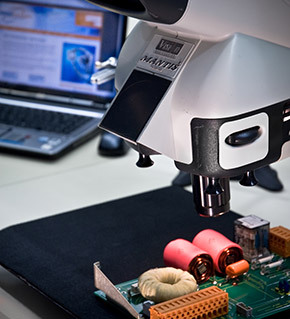 All of AMT's QC inspectors and production assemblers are IPC Certified. What is unique about your facility? AMT's 30,000 square foot facility features high-efficiency lighting, dual HVAC systems with small-particulate HEPA filters, high-end conductive flooring and global humidity control.